CKFLTBAV Torch Body, Flex-Loc, Valve, Gas CK Worldwide Part # FLTBAV. The CK gas cooled Flex-Loc torch body is lightweight and durable so you can have comfort while performing the weld your job demands and has silicon rubber insulation to provide the best protection against high frequency leakage. The Flex-Loc option on the torch allows you to turn the head of the torch to any angle needed to perform the weld you wish. What Series is my Torch? Knowing the series of your torch takes the guess work out of finding consumables and replacement parts. Torches includes 9, 20, 100, 110, 130, 200, 230FL2L, CKM230, CWH230, WCM230 torches and other popular torches of Weldcraft, Lincoln, WeldTec and Profax with similar models. 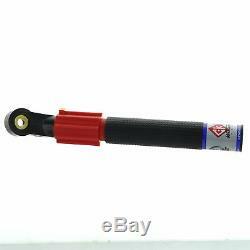 Torches include 17, 18, 26, 150, 210, 300, 510, Trimline, FL3L, CKM350, CWHTL300, CWH350, CWM350 and other popular torches of Weldcraft, Lincoln, WeldTec and Profax with similar models. Stubby consumables are compatible with 17, 18, 26, 150, 210, 300, 510 Trimline, FL3L, CKM350, CWHTL300, CWH350, CWM350 torches. Consumables are compatible with the CK510 torches. Torches include 24, 24W, 80, 90, 180, CWH180, CK24W. The item "CKFLTBAV Torch Body, Flex-Loc, Valve, Gas" is in sale since Tuesday, January 15, 2019. This item is in the category "Business & Industrial\CNC, Metalworking & Manufacturing\Welding & Soldering Equipment\Welding\Welders, Cutters & Torches\TIG Torches". The seller is "weldfabulous" and is located in Winona, Minnesota. This item can be shipped to United States, Canada, United Kingdom, Denmark, Romania, Slovakia, Bulgaria, Czech republic, Finland, Hungary, Latvia, Lithuania, Malta, Estonia, Australia, Greece, Portugal, Cyprus, Slovenia, Japan, China, Sweden, South Korea, Indonesia, Taiwan, South africa, Thailand, Belgium, France, Hong Kong, Ireland, Netherlands, Poland, Spain, Italy, Germany, Austria, Bahamas, Israel, Mexico, New Zealand, Philippines, Singapore, Switzerland, Norway, Saudi arabia, Ukraine, United arab emirates, Qatar, Kuwait, Bahrain, Croatia, Malaysia, Chile, Colombia, Costa rica, Dominican republic, Panama, Trinidad and tobago, Guatemala, El salvador, Honduras, Jamaica, Viet nam.